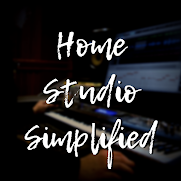 Home Studio Simplified: Lifeless Song? Dull Mix? Try these! Lifeless Song? Dull Mix? Try these! Few things stir us more than relationships. Some of the top songs that have ever been wrote were songs about love. We as individuals, as unique as all of us are, share the same common thread of having been hurt, abused, loved immeasurably, or undeserving of another's affections. It helps us all to bring that one thing to the table and get it off our chest that we know everyone will not only understand but can relate to as well. 3) Your audience can "hear" your feelings in your voice. When you sing that take that makes your voice break up because your fighting back those tears, you might just want to leave it in! 6) Harmonics can be a way of adding emotion at a key point in the song. Either instrument harmonics or vocal harmonies. 7) This sounds counter intuitive, but in order to get that punch in your build, drop out a few things, then bring them all in at the climax to create a mountain top experience for the listener. 8) Regardless of popular opinion, not everything needs compression. However, if used properly on a vocal, over compression can create a nice effect of one who sounds like they're struggling, or gritty over the circumstances. 9) Not all reverbs are created equal, some reverbs were just not meant to sound happy, and others stink at sounding sad! Well, I could go on and on for days! Anyway, the point is if you want a recording full of life and character the tools are already at your fingertips. You must know how to leverage those tools though, and this is the big part, the take away if you will, do it tastefully! Thanks for reading! Love ya all!